I am in the planning stages of a home made trike, I am planning on using the engine, transmision and rearend out of an 86 Mustang. The engine is a 3.8 V6 and I will leave the rearend at the stock length. I have most everything figgured out except the front end. I am under the impression that a motorcycle front end will not hold up especially in an emergency stop. I would like to use a spindle out of the Mustang also, so I can cary one spare for both front and rear. I need help, if anyone has made one I would love to hear from them. Otherwise any pictures or articles would be helpful. I am a newbie, and this is my first post. Heading out the door, but I will post more later. 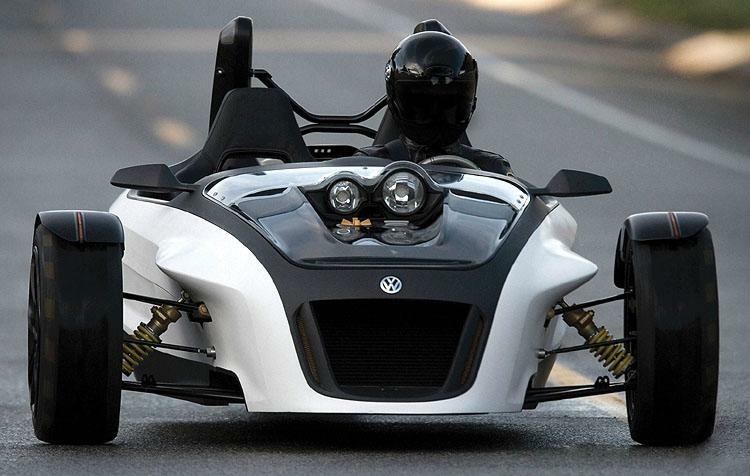 I'd like to convert a Can-Am Spyder to use a VW TDI. Ultimate hyper-mile commuter. I only see an x. If anyone wants to see the original picture that Eric linked to then copy and paste this link in your browser. http://thekneeslider.com/images/2013/05/terracraft-530x298.jpg It should work by clicking on it but in most cases it dosen't. PS: Funny thing. When I preview this message before posting, Eric's image shows up instead of the red X.
Oh, that is interesting. What's that run?